Brick orders for the walkway are currently closed. Young at Heart is celebrating 10 years of saving senior pets in the best way possible by building a Safe Haven for senior pets! The future home of Young at Heart will be located on our serene 8 acres in Woodstock, IL. 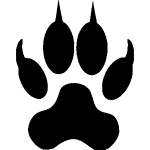 The building is designed specifically for housing as many as 50 older dogs and cats, giving them all the care, time, and comfort that they need until they find a family of their own. We want you to have the opportunity to become a permanent part of our new home! 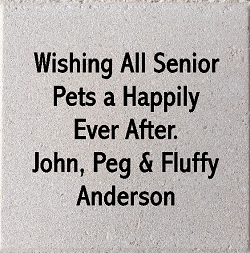 Help pave the way by purchasing a brick to help build a brighter future for senior pets in need. 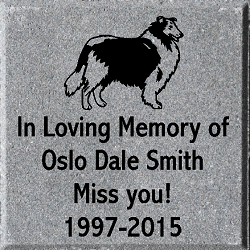 Every purchased brick will be dedicated and permanently placed in our walkway for all who enter to see. 4" x 8" Bricks are available for $100 text only or $125 with clip art. 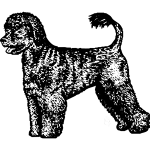 Only clip art from selection available. Logos may not be used. Choose from Grey or Beige. 8" x 8" Bricks are available for $250 text only or $275 with clip art. Businesses can show their support too! 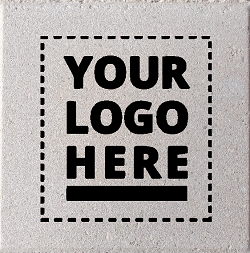 8" x 8" Business Bricks are available for $500 with clip art or logo. 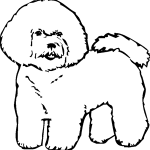 Businesses can upload their own logo. Beige only.